5 cities destroyed by massive environmental contamination. Cities that have been all but deserted due to massive environmental contamination seem to hold a strange fascination for many people. In addition to the appeal to the imagination, these ruined cities are worth remembering for the lessons they teach about the consequences of the failure to identify and manage risks posed by industrial activities involving hazardous materials. Here are 5 of the most infamous such contaminated cities. While many people may not have heard of the city of Pripyat, Ukraine, they have almost certainly heard of the disaster that destroyed it, namely Chernobyl. Pripyat was contaminated by a huge plume of highly radioactive smoke from a fire that broke out in then-USSR’s Chernobyl nuclear reactor after a sudden power spike ruptured the reactor vessel. In the years following the 1986 disaster, over 350,000 people were relocated from Pripyat and the surrounding 100,000 square kilometers. Today the site remains highly radioactive and experts estimate the 30 kilometer radius that has been set up as an exclusion zone around the site will not be safe to inhabit for 20,000 years. The ghost town of Gilman, Colorado has an attractive clifftop location but an extremely unattractive and dangerous history of contamination due to the operation of the Eagle Mine, which produced gold, silver, lead, copper, and zinc from 1886 to the 1980s. In 1984, the EPA ordered the closure of the mine and the abandonment of the town due to high levels of toxic pollutants in the groundwater and soil. Today Gilman CO is a 235-acre Superfund site with over 8 million tons of mine waste. Lead and zinc mining began in Picher, Oklahoma in 1913, and soon grew into a major industry. The practice of leaving the mine tailings piled in huge mounds above ground lead to widespread lead contamination as the strong winds of the plains spread lead dust throughout the city. In 1996, a study found that 34 percent of Picher’s children had lead poisoning. Many of the town’s buildings were at risk of collapse due to weakened bedrock and the groundwater was also contaminated. The city was officially closed by the state in 2009, and today only a few stubborn residents remain. Libby, Montana is an example of a highly contaminated site that is attempting to pursue cleanup rather than abandonment. So far, the EPA has spent over $425 million in asbestos remediation activities for this former mining town. 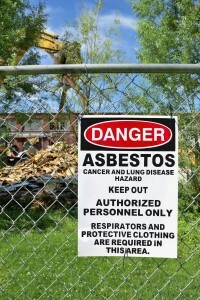 Though the mine was located at a remove from Libby, residents brought home hazardous asbestos fibers in their clothes and also used contaminated mine tailings as fill for all kinds of properties including playgrounds. Most recently Libby has been declared a public health emergency by the EPA with an addition $130 million earmarked for cleanup and medical assistance. The former mining company town of Wittenoom, Australia has officially been erased. As of April 2013, all references to Wittenoom on maps and road signs have been removed and all roads have been closed. This was just the final step in the abandonment of the town, which actually began with the closure of the mine in 1966. Unfortunately for the town’s residents, the mines around Wittenoom produced blue asbestos, a type of asbestos fiber that is very tiny and therefore more dangerous than other types of asbestos. While the above-mentioned sites are some of the most infamous and dramatic, environmental contamination on a smaller scale is more common than you might think. According to the EPA, there are over 90 officially designated Superfund sites in California alone. Many more sites with some level of contamination from chemicals or hazardous materials no doubt exist, making it extremely important to get your environmental site assessments from a qualified contractor like H2 Environmental.